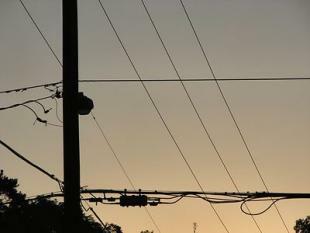 In 2011, 67 American workers died on the job from electrocutions. Most of these deaths could have been prevented by better work practices, such as identifying and controlling hazards in the workplace, or implementing a standardized training program designed to instruct employees in best practices. As they say, an ounce of prevention is worth a pound of cure. OSHA’s regulations are designed to keep workers safe. Workers should never assume that just because a detail of a regulation is small, it must also be unimportant. To paraphrase Cary Grant, it takes 500 small details to add up to a safe work environment. The top three most common electrical wiring violations are actually relatively easy corrections to make. 1910.305(b)(1)(i) – Conductors entering cutout boxes, cabinets, or fittings shall be protected from abrasion, and openings through which conductors enter shall be effectively closed. Wires that pass through metal enclosures can be damaged by rubbing against the edges of the holes where they enter. If the protective coating on the outside of the wires deteriorates, then the frayed, exposed wires constitute an electrical hazard. To protect the wires from this type of abrasion, workers can use a rubber grommet or a clamp to seal the entrance and hold the wires in place. 1910.305(a)(2) – This section covers the guidelines for proper use of temporary wiring and flexible cords – including extension cords. Extension cords are a useful tool in a temporary wiring system, but they can become a deadly hazard if used improperly. Whereas fixed wiring is protected and secured, flexible wiring is much more susceptible to damage. Flexible wiring is particularly vulnerable at points of tension, such as joints and terminal screws. The strain created can expose live wires and allow contact between conductors, so it’s important to ensure that cords are attached to devices and fittings in a way that prevents stress on the wires. Flexible cords are also less durable, therefore more easily damaged, and are more likely to get wet, which can cause fatal electrocutions. It’s important to review the guidelines for safe use of temporary wiring to prevent such tragedies in your workplace. 1910.305 – All electrical systems must be safely grounded. Electrical systems are “grounded” by creating a low-resistance pathway for excess electrical current. Without this outlet, currents from electrical shorts or from lightning can cause a lot of very expensive – even fatal – damage. Grounding protects not only your equipment (such as machines, tools and insulation) but also your employees. If a malfunction in the equipment causes the metal part of a tool to become electrified, the current will seek the ground – the only question is whether it will be able to use a pre-installed grounding path, or whether it will be forced to pass through a worker’s body. Although grounding paths can occasionally be broken, using a GFCI (ground-fault circuit interrupter) can help protect the system from failing. Consult the OSHA guidelines for instructions on how to safely ground any kind of electrical system. In the course of researching this blog post, I read many reports of incidents that lead to an employee’s death via electrocution. A recurring theme: the victims often failed to take proper safety measures due to a lack of training. While employers need to make every effort to eliminate hazards on-site, it is absolutely vital that all employees who work with or around electrical systems undergo comprehensive safety training. Having such a program implemented company-wide can not only save lives, but it can also protect the organization from fines and lawsuits in the case of a truly unavoidable accident. OpenSesame offers a range of safety training courses that can be easily shared with your employees. If you don’t have a standard LMS that your company uses, you can send the course to your employees via CourseCloud and they’ll be able to complete it right from their web browser. You’ll be able to track participation from your dashboard in your OpenSesame account. With our unique Pay-Per-Use program, you’ll save money by avoiding expensive licensing fees and paying for only what you use. Get started by browsing our Electrical Safety Training Courses category today. Remember – awareness is the first step to creating a safe work environment.